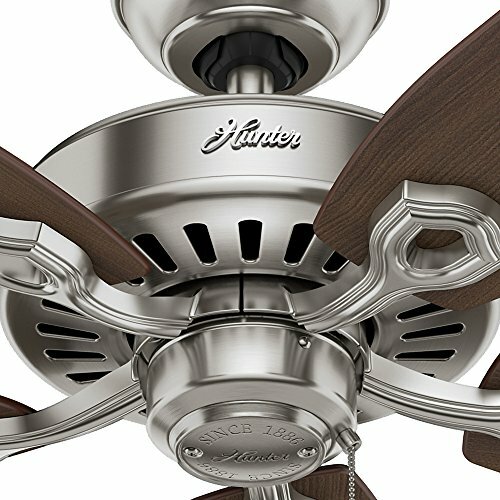 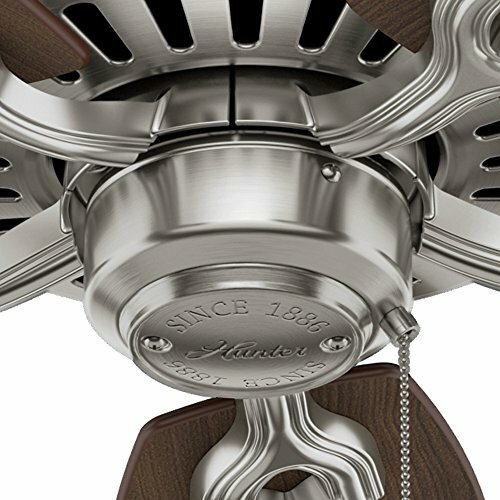 The Hunter Builder Elite ceiling fan combines casual elegance with a 52-inch blade span for the perfect addition to your large room. 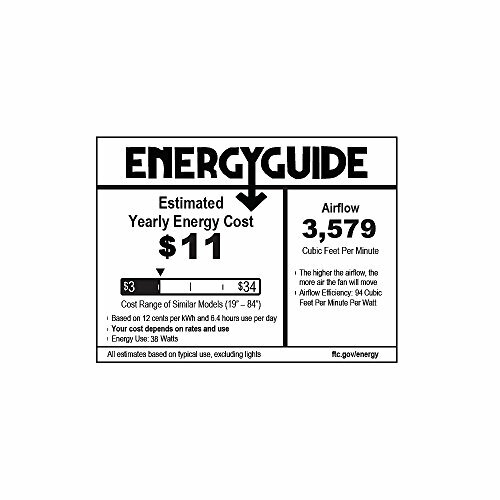 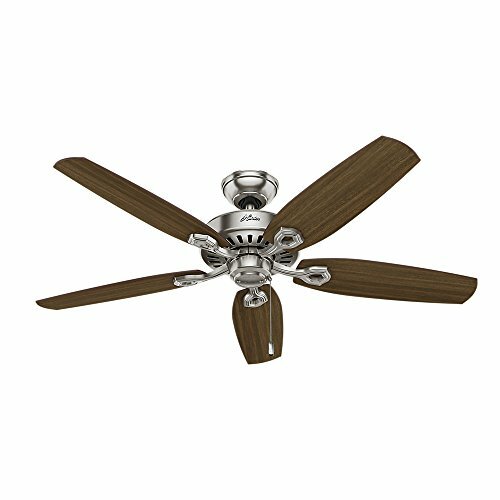 It has a flexible mounting system designed to accommodate standard, flush or angled mounting depending on your installation needs. 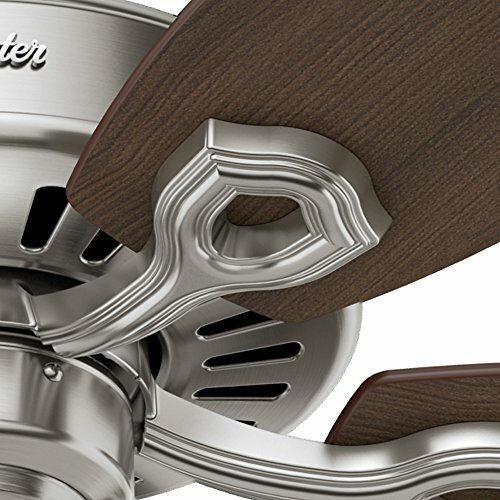 The Whisper Wind motor offers powerful yet quiet operation with 3 speeds and a reverse function for optimal comfort. 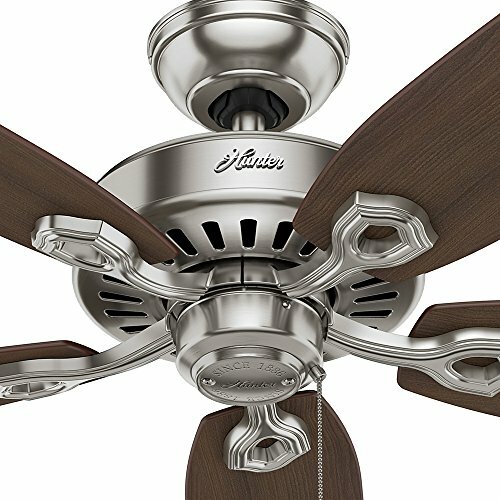 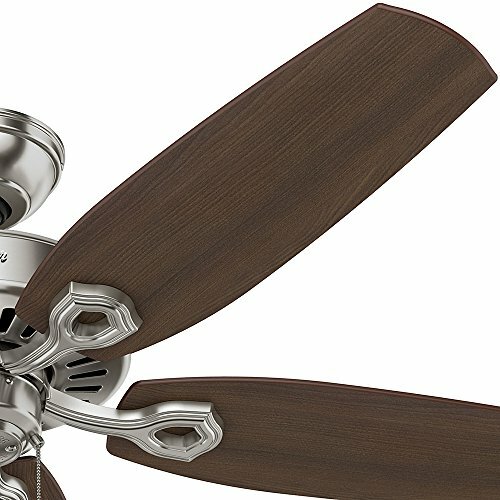 It features a relaxed, traditional design, as well as a brushed nickel finish, with Brazilian cherry and harvest mahogany finishes on its reversible fan blades, helping to expand your decorative choices.